Two Mod Designed For You,You Choose Classic Or Terrible Mod? I would like to let you know these two items, one is the classic mod, the other one is a guly terrible clown mod. Which one do you like btter? 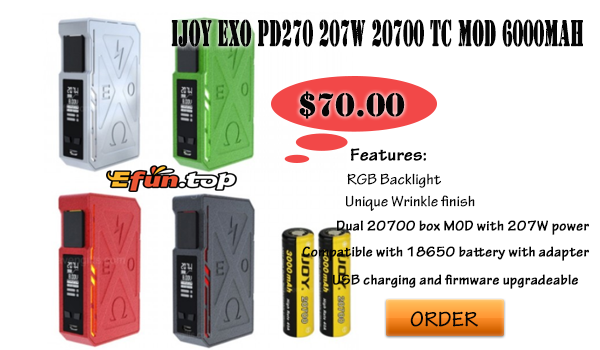 IJOY EXO PD270 is another dual 20700 box MOD after Captain PD270, which combines classy chassis design and RGB backlight for user customization. It supports max 207W output power, Ni/Ti/SS/TCR function, USB charging and firmware upgradeable. Powered by dual 18650 batteries, Vapecige VTX200 is a 200W powerful TC Box MOD with various high performance VW/TC modes. It features a rubber paint body which is extremely comfortable in hand. 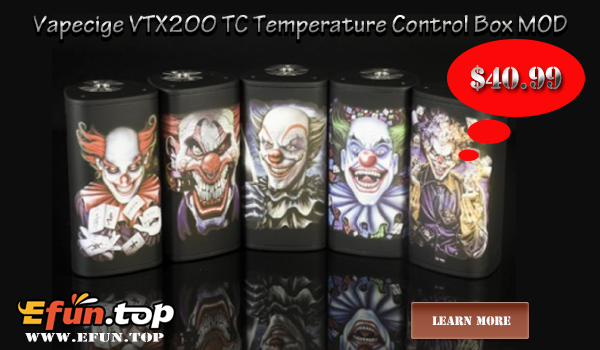 Moreover, it is made of high-quality ABS material and comes with a Clowns 3D pattern on the battery door which looks fashion and make the MOD different.